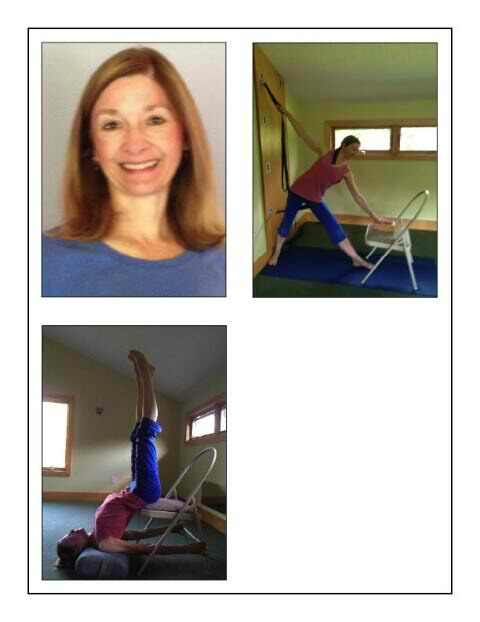 Janet Moon O’Brien has practiced yoga since 1998. She was drawn to yoga to calm her anxiety. With a 5-year-old, a 3-year-old and toddler twins, she needed to find some peace. Coincidentally, for the first time in her life, her back began to hurt. Never before had she been bothered by any trouble with her S-curve scoliosis (which was diagnosed at age 14) until her twins began to crawl all over and in opposite directions! Her medical doctor suggested she try yoga to help her anxiety and after a very short search, she found her teacher, Marilena Bertman. She learned a type of yoga based on the proper alignment of the body. Beginning by attending 3 classes a week, she soon established a daily practice of her own on days she did not have a class to attend. She found that her yoga practice helped her to feel better in her body as well as her mind. In 2005, she began teaching yoga classes, substituting for her teacher when she was out of town. This evolved into teaching classes consistently. In 2011, she began to study with Elise Browning Miller in the Yoga for Scoliosis program. After 21 months of study and an extended practicum with two scoliosis students she received her certificate from Elise Miller to teach yoga for scoliosis. She currently is taking weekly Iyengar yoga classes and will start the Iyengar teaching training in 2016. Janet teaches general group classes as well as special private/semi-private classes for Parkinson’s Disease and scoliosis. She is thrilled to be able to share her knowledge with other people who have scoliosis and help them become stronger, more flexible and happier in their bodies and minds.